We’re back again this week to discuss more about the initial approach to the MVC patient in B-pod. Last week we discussed occult bowel injury in the setting of blunt abdominal trauma. In the second episode of this topic, Dr. Powell also highlights the importance of an appropriate pain medication selection upon discharge from the emergency department, citing the importance to consciously avoid cavalier prescription of potentially habit-forming pain medications. But what kind of risk is involved when we send patients home with opioid prescriptions? Are they destined to seek out more? One retrospective cohort study (1) investigated the potential for recurrent opioid prescription filling from patients receiving such medications upon discharge from the emergency department. In an urban academic medical center, patients who were discharged from the ED with opioid prescriptions were followed for evaluation of repeat filling of such a prescription near the one year anniversary of their ED visit (i.e. 305-425 days after their visit). Overall, patients that were opioid naive at time of initial prescription had a 12% rate of repeat prescription use near that one-year mark. Interestingly, when analyzed more closely, 17% of those utilizing the initial prescription did so again, vs. 8% of patients who received an initial prescription but never filled it. There are many limitations to this study (single center, large potential for selection bias), no proof of cause, as well as no measurement of outcomes. However, the association and frequency of recurrent opioid use the setting of previously opioid naive patients does warrant consideration, particularly when one keeps in mind the number of prescriptions that could be provided during your career to non-severe and self limiting pain such as muscular strain. When considering the potential risks involved with providing prescription opioid medication to patients, an anecdotally more common worry is that of the potential for abuse of the medication. 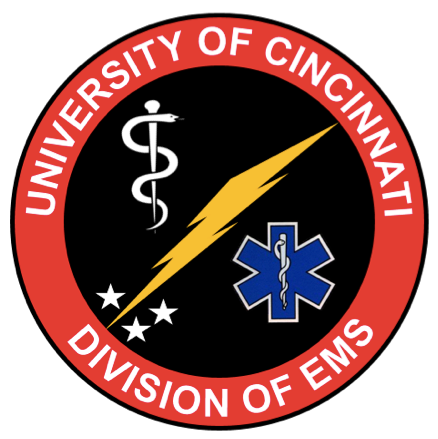 In a prospective observational study2 performed at a single large urban academic medical center, patients receiving opioid medication prescription from the emergency department upon discharge were followed for a three point survey regarding their use of these medications. Patients answered questions at time of discharge, 3 days following discharge, as well as 30 days following discharge. They were asked questions regarding opioid misuse, which was defined as self-escalation of dosage, utilization of medication for something other than pain, or obtaining prescription medications without physician prescription. Though the overall number of patient responses in follow up leave something to be desired (only 85 patients responded to either 3 or 30 days surveys), the proportion of misuse does raise concern. Forty two percent of respondents to either the 3 day or 30 day follow-up self-reported patterns of misuse. The most common pattern of misuse was elevation of dosage, with 92% of patients with misuse pattern reporting such behavior. Looking at the described label of misuse in this situation seems understandable when put in the patient’s shoes with self-escalation of dose potentially viewed as more of a necessity than “abuse” for someone still experiencing pain. However, patients classified as misusers often reported more than one pattern of misuse. Of those that self-escalated their prescriptions, 58% exceeded the upper limit of manufacturers recommended dose for acetaminophen administration. Thirty nine percent reported obtaining medications without physician prescription, and 36% reported using the medication for something other than pain. So why should we discuss these statistics if the power of the study is underwhelming, or if there’s no proof of cause or only loose association? Because 80% of adolescents who reported misuse of opioids had previously received a prescription from a physician3. Because the estimated prevalence of lifetime misuse of opioid medications by high school seniors is 12.9%3. Because a cross-sectional study4 based on a nationally representative data sample found the hazard ratio for heroin initiation to be that of 13.12 for adolescents with non-prescription opioid use compared to those without. Prescription narcotic and heroin overdose are responsible for too many deaths for us as emergency providers to feel comfortable with casual prescription. It is a natural desire as a physician to want to provide relief from pain to our patients, however, consider utilizing this information as a means to explain that the decision to provide ibuprofen for whiplash comes from a desire to protect rather than to punish. 1. Hoppe, Jason A., Howard Kim, and Kennon Heard. "Association of emergency department opioid initiation with recurrent opioid use." Annals of emergency medicine 65.5 (2015): 493-499. 2. Beaudoin, Francesca L., et al. "Prescription opioid misuse among ED patients discharged with opioids." The American journal of emergency medicine 32.6 (2014): 580-585. 3. McCabe, Sean Esteban, et al. "Medical and nonmedical use of prescription opioids among high school seniors in the United States." Archives of pediatrics & adolescent medicine 166.9 (2012): 797-802. 4. Cerdá, Magdalena, et al. "Nonmedical prescription opioid use in childhood and early adolescence predicts transitions to heroin use in young adulthood: a national study." The Journal of pediatrics 167.3 (2015): 605-612.